Disclosure: I am partnering with Nearly Natural. All opinions are my own. 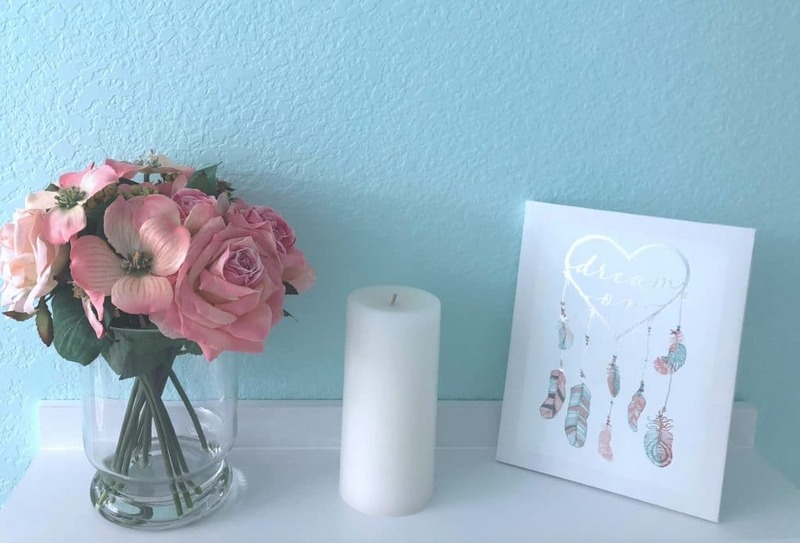 If you have spent any time on this blog, you will find that I LOVE to decorate. My friends “hire” me to decorate their homes and I relish in the beauty of a pulled together and themed area. One must have for any room is always greenery. 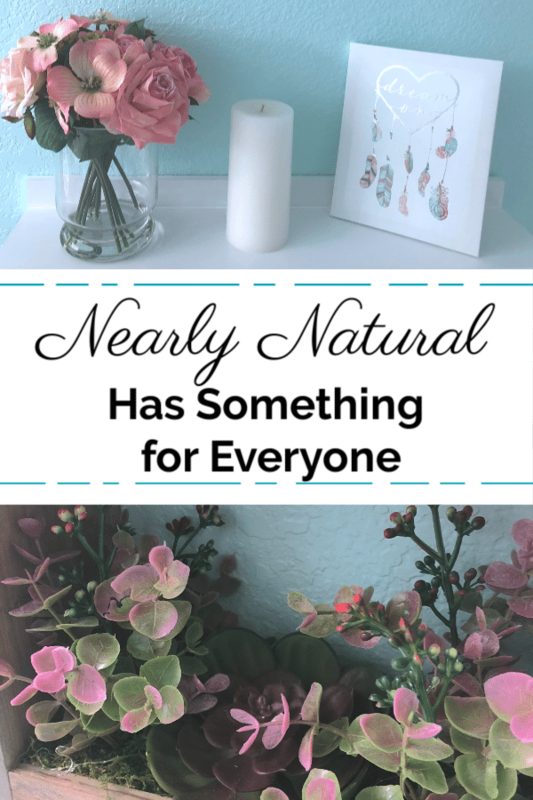 Nearly Natural has something for everyone and really pulls a room together. I just shared our front entrance makeover, but I could not share that without sharing some of the fall beauty inside our home too. 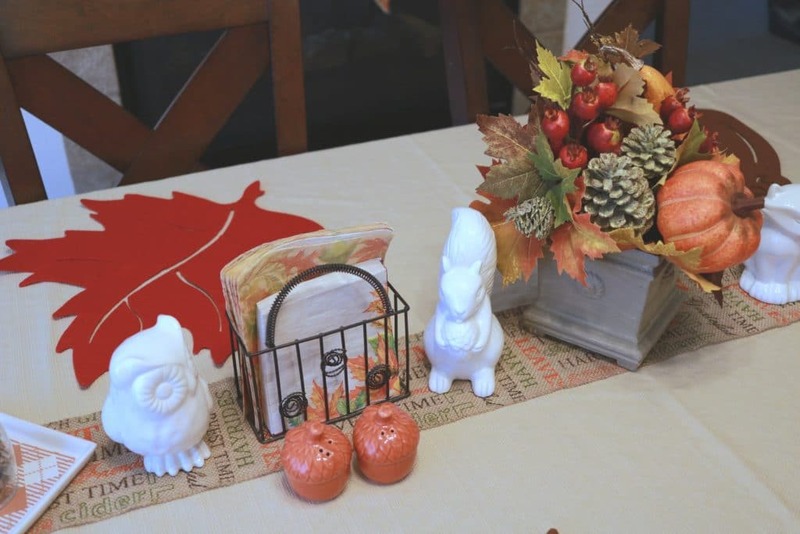 I spent a good portion of last year creating tablescapes for each season. The one thing that my tablescapes were missing though were flowers. 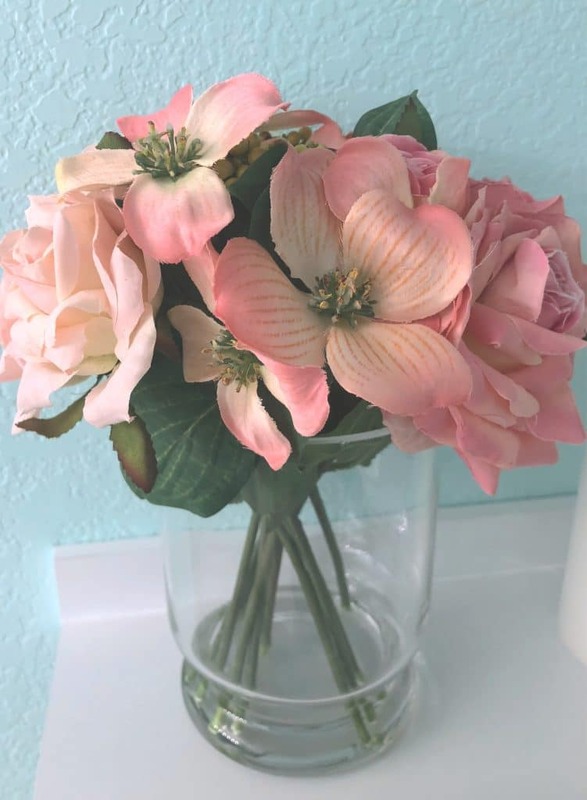 This budget doesn’t have a continuous fresh flower reservoir, but I found an incredibly beautiful option in Nearly Natural which can bring a touch of fall into any home for a great price! The vase is a favorite of mine too. 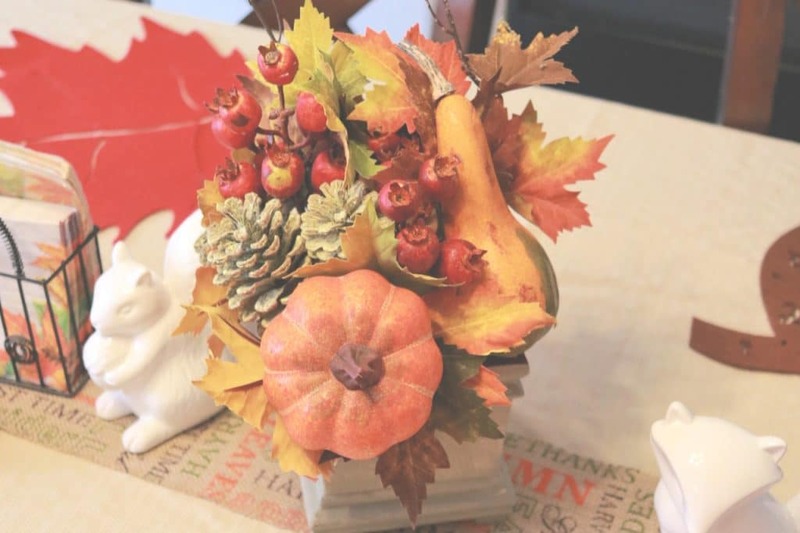 It has some subtle designs and a great low key color that helps to bring out the beautiful fall colors in the arrangement. It is also a really good size at about 5 inches by 5 inches. In addition, these are very light, but sturdy! My home is more than just fall decor. I may have a mantle, a front entrance and a kitchen that are as fall as they come, but our bedrooms and bathrooms are clean, light and fresh feeling. I love the warmth of the fall decor in the family spaces, but when it comes to our bedrooms and bathrooms, I want calm and relaxing. After finishing our master bathroom remodel, I was missing a couple elements that I really wanted to incorporate. Flowers! I had this beautiful white floating shelf and awesome feather sign but nothing to contrast the pinks in the photo with the rest the room. I found this beautiful Rose and Berry arrangement and I just had to have it. The arrangement fit perfectly into the space and is a great blend of faux textured roses and delicate berries that help bring in that fresh feeling to our bathroom suite that I just love. I seriously spent a good hour on the website deciding between several different arrangements. They honestly have something for everyone. From small arrangements to succulents to large trees, you can find anything your heart desires on the Nearly Natural website. 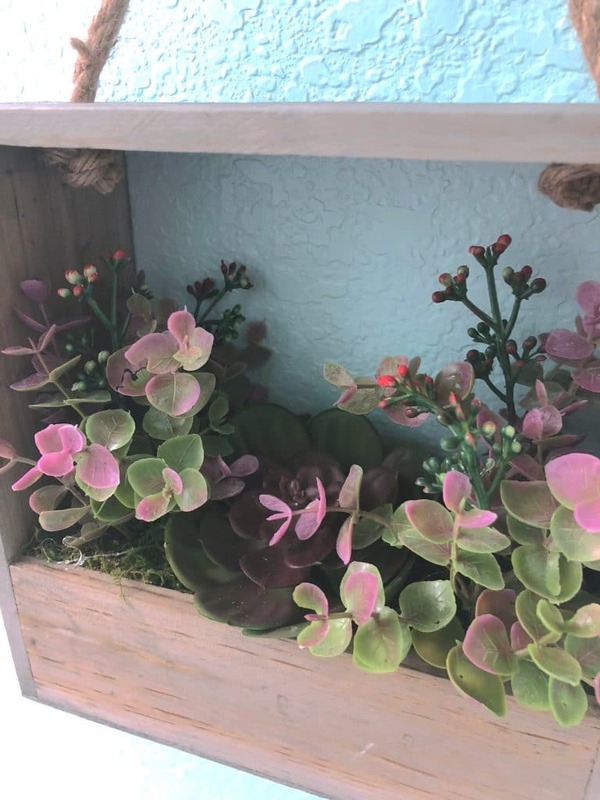 This echeveria succulent and eucalyptus arrangement in the shadow box hanging frame was something that caught my eye and had to come home with me. It was hard to narrow my choices down, but this little beauty was always coming into our home. Nearly Natural is a great one stop shop for all your faux flower needs. From holidays to everyday, they have something for everyone and the quality and prices are great too. Take a look on their website and snag some deals going on right now. Also, you can use the code “FallLF” to get 20% off your online purchase! Go save and decorate those homes! 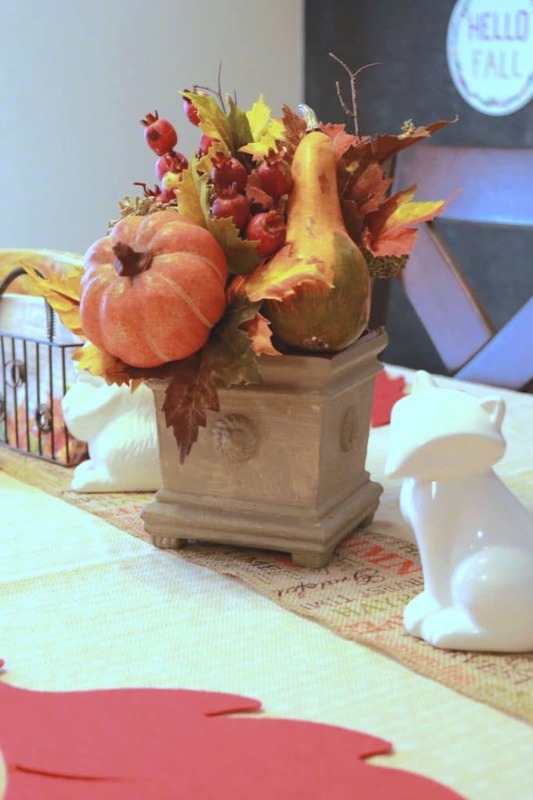 Do you decorate with faux arrangements?